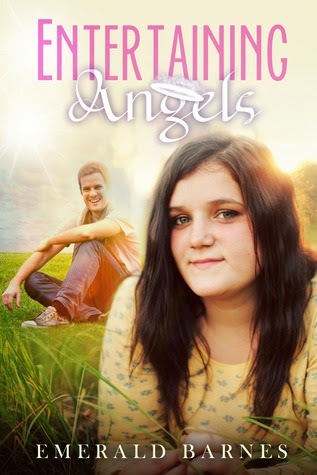 This book follows Madison Andrews and her close friend Chase. Madison seems to be having a religious battle going on with her, and who will win out? Chase and Zach are determined that Madison win her battle! Oh my god everything I liked the characters of Zach and Chase. I love how they both care about her, and show her what she needs to know, and that some people aren't fat, just beautiful curvy women. I enjoyed the journey Madison had to go on to learn more about herself and Chase. And I loved the ending it was great! 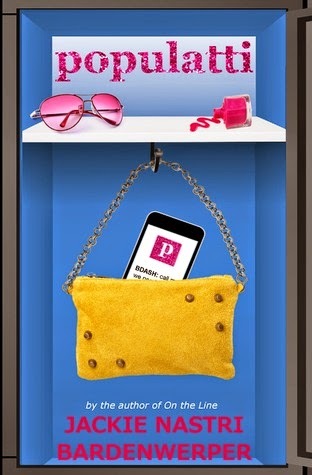 Joining social network Populatti.com let sixteen-year-old Livi Stanley trade her awkward middle school past for the social life of her dreams. Because Populatti isn't just a social network. It's a club, providing access to friends. Parties. And Livi's crush, star baseball player Brandon Dash. Yet lately, online rumors have been threatening Livi's place in the group. And not even her friends are doing much to stop them. Leaving Livi to prove them wrong, and fast. Before her life as a popster is over. This book follows teenage Livi who is part of Populatti which basically is an online club where members attend great parties and are part of the in club. When Livi gets voted out her life changes drastically and what she thought she knew is about to change forever! I liked how Livi came to terms with her life outside of Populatti and how Val and Briana filled her in on her "so called- best friends" even hearing some of it from their mouths when they thought Livi wasn't around. I liked how Livi was able to be friends with Val and Briana regardless of them being in Populatti and how Brandon didn't leave her when she got voted out. Also how she was able to see the true colors of her so called friends. There really wasn't much I didn't like in this story once I started it I was rivited to my seat to see what would happen next I was also glad in the end when Livi did the right thing and used her brain to decide what the right thing was to do. 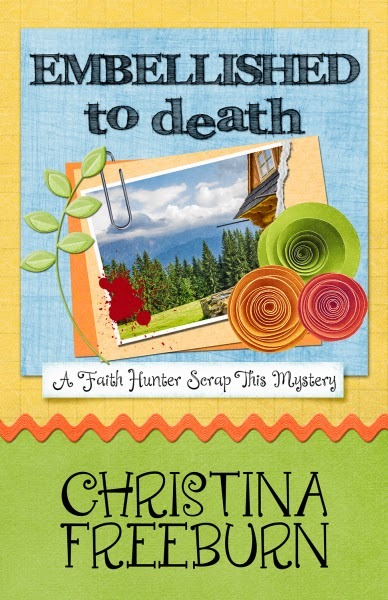 In this book Faith Hunter finds out that someone is stealing her identity and want's to know why? Faith and her boyfriend Steve are off to a scrapbooking retreat where early on murder is on the croppers. Someone killed a woman and it turns out she is Marsha Smith but there already is a Marsha Smith so what is going on? It's up to Faith and her associates to figure out what is going on and why there is a PI acting like a FBI Agent strongarming Faith? What does he hope to accomplish? And what is Faith's hidden secret she hasn't told anyone? Will it come back and bite her big time? This book was good and quick the story pulls you in and has you wondering who committed this horrible crime and why? I enjoyed this story so much there are great characters that do come together to help Faith, only one thing wasn't answered but hopefully it will be in the next book! I have gone through many book tour agencies. Through out them all I have found one I enjoy over the others whether it be my love for reading cozies or just the friendliness of the book tour company. A virtual book tour will help spread the word about your cozy mystery book, stopping at 7-14 blogs, with reviews, interviews and guest posts. It’s the perfect way to spread the word to readers in this technological age, without travelling! Great Escapes Book Tours schedules and arranges virtual book tours, and here is the best bit – I DO IT FREE OF CHARGE! Don’t pay $400 or more for a virtual tour. All you need to do is provide review copies and your time to answer interview questions or write a few guest posts. I will also need a synopsis of the book, a photo of yourself, and the book cover for your personal tour page and tour banner. Non-Cozy Tours start at just $100. · A Banner in the far left sidebar on my blog and for use promoting tour. 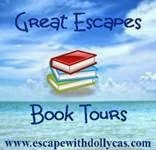 · Tour will be featured on the new Great Escapes Virtual Book Tours Facebook Fan Page and on the Escape With Dollycas Facebook Fan Page. · Daily updates on Facebook and Twitter featuring the blog hosting that day. · Its own page under the Great Escapes Virtual Tour tab at the top of this page and be listed on the Current Tour Page. Future Tours will have a page as well as I book hosts. After the tour is completed the links will move to the Past Tour Page. · Review bloggers will be asked to post their reviews on Amazon.com and/or B & N. com in addition to posting on their blog. Goodreads members will be encouraged to post there as well. If copies are obtained through NetGalley reviewers will post review there too. · If you want to include a giveaway that is entirely up to you. You can host one giveaway for the tour than spans across all blogs participating or give a book away on each blog or on just a few blogs. Swag can also be included. · The number of stops, guest posts, interviews and giveaways are set by you. It is entirely up to you and you can say Zero if you wish. o Guest Posts are articles written by you and can be about anything at all. 500-1000 words and can include pictures. Some bloggers have a set format which I will send you if their blog is booked for your tour. Each stop booked for a guest post must have an original article. The tour would be quite boring if the same post was used at every stop. Don’t worry about customizing them for each blog. I will match what you write with a great blog. o Interviews are a collection of questions from the blogger. I will send them to you as soon as I receive them. o Giveaways are entirely up to you and can range from just one book across the entire tour, a book at a set number of stops, a prize package including swag, books or even gift cards to span the tour, or no giveaway at all. I will set up whatever you wish and email you the winner/s information from all giveaways after the tour completes. Everything runs through me so you only have to deal with one person and can spend more time writing great stories. Sound too good to be true, I do this because I love promoting good books. Personal service is what I want to offer so I am looking forward to make this a wonderful tour to launch your book! Generous site sponsors help me to be able to offer these tours. I hope you will consider sponsoring my blogs and these tours. Sponsorship starts at just $30 per month with discounts for multiple months. Just ask me if you would like more information. Are you ready to book your tour? To learn more contact Lori here! In this book we get to meet Eliza Hayward and her daughter Maddie are moving to a small town when Eliza secured a job at a local inn. As they show up the building is burning to the ground and with that Eliza's job. When Maddie and Eliza are crossing a street Eliza gets hit by an SUV driven by Aidan Cane who is so horrified by what happened and tries to think of a way to help this mother and child. This book was great the characters each grow as the story flows. Eliza had to learn to let love in again in her life after her husband died in a car crash where Eliza always wondered if suicide was an option. Maddie showed everyone how magical Christmas can be in the eyes of a child. Aidan had to learn that keeping secrets and shutting the world out won't let others get close to you and that sometimes you have to set work aside and smell the roses. This book was great full of so much fun and festivities. I really think many will enjoy this love story for the holiday season! 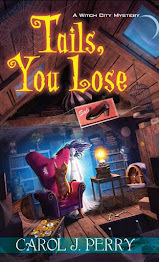 If you've read the Oz books when you were little like I did, loved them, and even pretended you were Judy Garland and clicked your heels together like crazy as in the Wizard of Oz movie, then you better stay away from this book. As you may or may not know, the movie, filmed in 1939, is famous for being one of the first examples of the "technicolor" technology. Yet, this book has made that all grey. When it comes to classics (as in books I've grown up with), I either love or hate the remakes whether it's in written or film form. Dorothy Must Die happens to be one I did not enjoy. I was all tense while starting the movie "Oz, the Great and Powerful" because I knew I'd either love it or hate it. I ended up loving the new movie. Yet, I was rather annoyed and rather bored while reading the adventures of a girl from Texas who finds herself in Oz, which, in this dimension of reality, is a miserable place where Dorothy has gone evil. It took a very long time for the story to even actually start. Especially those who know the original will get bored. The main character Amy Gumm is very needy, always complaining. I felt like she didn't even deserve to go to Oz no matter how Oz ended up. When the storyline is supposed to raise your curiosity, it's way too obvious what's going to happen and makes you feel rather silly. I didn't like that there was a love story forced in between when everyone in Oz is suffering. First work, then play, kids! This is going to be a spoiler but Amy can't even kill Dorothy as she's supposed to. I wonder what kind of obstacles the author will come up with as the series proceeds forward. I must admit I'm not really curious. I got this book for a fair and honest review through Edelweiss. With that being said I loved this story which follows Brian "Hutch" Hutchinson who has been healing in a hospital after being a solider in the war. Having his finger cut off and damage to his throat he has found himself unable to speak. He ends up being discharged from the hospital and the military and no where to go but home. Meredith Sommers is living in Twilight working at a spa as a masseuse. She is hiding under an alias of Jane and is hoping this time she can stay longer than other homes she's lived in. When she finds her roomate Ashley has run off with a new man, Jane is worried that Ashley is in trouble. Jane is taking care of her son Ben plus Ashley's daughter Kimmie until Ashley shows up or Ashley's broth arrives. When Brian arrives in Twilight he is met with pepper spray and a crazy woman trying to protect herself. Little does she know Ashley's brother is in town and can't communicate to his niece or Jane his problems without the help of a board to write what he wants to say. But where is Ashley and what happened to her? I loved watching Hutch and Jane figure out their relationship and that sometimes PTSD isn't as bad as it is made out to be as both Hutch and Jane suffer from it. Jane from her ex-husband and Hutch from what he has seen at war. The two both have issues they have to work through but also find they can lean on each other when they need too. I had never read this series and now am regretting not checking out this great series full of promising characters and brightness in these stories! Such a big fan of Ms. Wilde's keep up the great stories! As Christmas draws near, Felicia returns to her family’s home on the island to marry her adventurous, rugged boyfriend, Archie. Every detail is picture-perfect for a dream wedding: the snow-dusted streets, twinkling lights in the windows, a gorgeous red and white satin dress. Except a lavish ceremony is not Felicia’s dream at all; it’s what her mother, Jilly, wants. Jilly’s also worried that her daughter’s life with daredevil Archie will be all hiking and skydiving. Wondering if their handsome neighbor Steven Hardy might be a more suitable son-in-law, Jilly embarks on a secret matchmaking campaign for Felicia and the dashing stockbroker. As the big day approaches and Jilly’s older daughter, Lauren, appears with rambunctious kids in tow, tensions in the household are high. 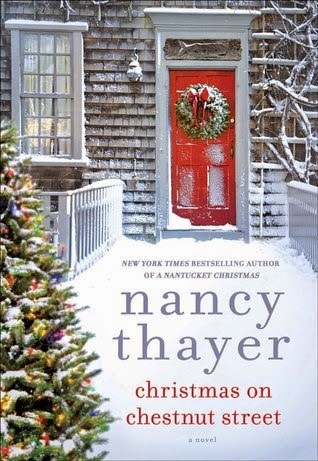 With the family careening toward a Yuletide wedding disaster, an unexpected twist in Nancy Thayer’s heartwarming tale reminds everyone about the true meaning of the season. 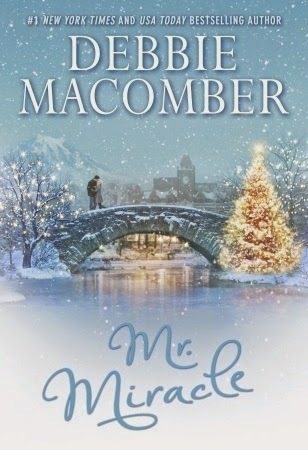 This was a cozy themed book that has Felicity's family all excited for the holidays when she decides to go home with her outdoorsie boyfriend Archie to get married. Little does she know her mother is scheming to hook her wild daughter up with Steven a handsome stockbroker. 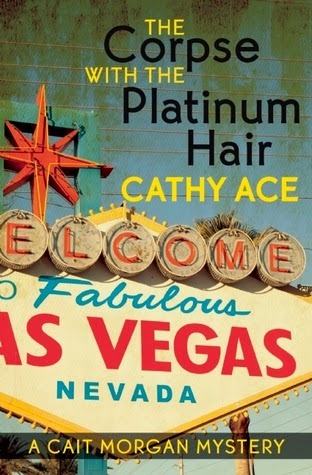 In this book everything that could go wrong does go wrong and reminds Jilly Felicity's mother that not everything goes according to plan but that doesn't have to ruin the holiday or wedding! 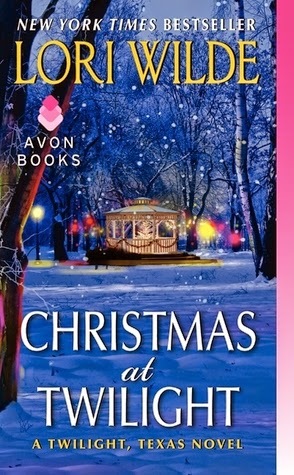 I enjoyed this story alot it puts you right in the mood for the holiday season. I loved meeting Jilly's family and friends they interact with. Also I enjoyed watching Jilly's scheming work against her in the biggest way! 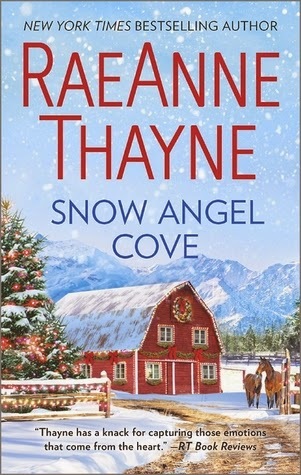 This was cute Christmas themed book when Harry Mills is sent to earth to work on his mission as a guardian angel his task is to help Addie Folsom get on track with her life. He gets a job at the local college to teach adults about The Christmas Carol and the various meanings that Dickens created in the book. Meanwhile Addie is taking care of the boy next door who she has hated for so long who now has two broken wrists due to a car accident. Will the two find common ground or keep up their grudge with each other? I enjoyed this story especially seeing how Harry adapts to living among humans when he has been around them for a while. I also enjoyed watching the relationship blossom between Addie and Erich. Such a great story! 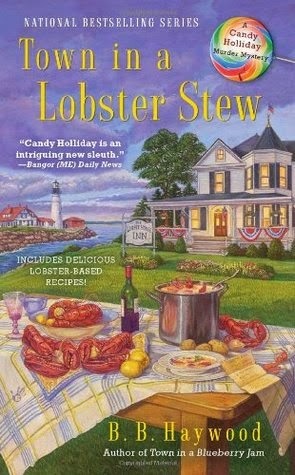 In this book we are introduced to Candy Holliday and her father Doc who live together in a small seaside town of Cape Willington Maine. They run a farm together called Blueberry Acres. 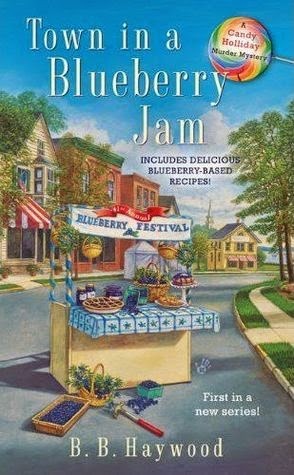 As they are getting ready for the blueberry festival and blueberry pageant to crown Queen Blueberry, not long into this book a murder occurs and the local hero Jock who commits suicide or that is the going story unfortunately some town folk find that hard to believe including Doc who is adamant that Jock was too cocky to die in that manner. When Sapphire Vine winds up dead given that she was the local gossip so many people wonder who had cause to kill her? Could it be the German baker? Or is Cameron the young man who seemed very upset by her death? Or is it related to the pageant? 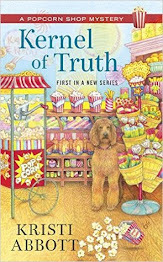 Candy, her friend Maggie and Doc set out to clear the murder suspect who is too gentle to kill anyone. Ray who does handy work around town no one can believe he would kill anyone. So who is out to frame him? And what do they hope to gain by framing an unlikely suspect? I enjoyed this seaside town with all it's characters and the quirkiness about them? I also liked how we did learn Candy's back story with out it being thrown in right in the beginning. I enjoyed the rapport between father and daughter and how he does get stern with Candy at times but it doesn't take away from the story. In this book we meet Zoe Chambers and her acquaintances as she responds to a call as a Paramedic and finds Jim Engle dead by hanging, something about this crime hits Zoe and makes her question everything she knows especially when more people wind up dying around her. What I found great about this story is it was an new crime wrapped under older crimes. In order to solve the first you really had to watch characters sift through the older crimes. I also enjoyed Pete's dad who was great for a dementia type patient. Definitely a great who-dun-it mystery that really had you wondering who was committing murder? Or so she believes. But at last the magic fails. A stranger arrives -- cousin Charles, with his eye on the Blackwood fortune. He disturbs the sisters' careful habits, installing himself at the head of the family table, unearthing Merricat's treasures, talking privately to Constance about "normal lives" and "boy friends." Unable to drive him away by either polite or occult means, Merricat adopts more desperate methods. The result is crisis and tragedy, the revelation of a terrible secret, the convergence of the villagers upon the house, and a spectacular unleashing of collective spite. The sisters are propelled further into seclusion and solipsism, abandoning "time and the orderly pattern of our old days" in favor of an ever-narrowing circuit of ritual and shadow. They have themselves become talismans, to be alternately demonized and propitiated, darkly, with gifts. Jackson's novel emerges less as a study in eccentricity and more -- like some of her other fictions -- as a powerful critique of the anxious, ruthless processes involved in the maintenance of normality itself. "Poor strangers," says Merricat contentedly at last, studying trespassers from the darkness behind the barricaded Blackwood windows. "They have so much to be afraid of." I remember hearing Shirley Jackson's name very often from fellow bookworms. However, I'm not sure who told me about this book. I've probably seen her name while I was reading about Neil Gaiman or Stephen King because Shirley Jackson is among names that inspired these two. I wish I hadn't waiting this long to read her works. In We Have Always Lived in the Castle, Mary Katherine Blackwood lives in the Blackwood House with her older sister Constance Blackwood and their uncle Julian Blackwood. Blackwoods are among the rich families of the town. However, most of the family (that is, everyone except the three that I just listed the names of) have passed away; Mary Katherine, Constance and Julian have been spending all their time at home since. Due to the suspicious events that took place (you don't see what it is until toward the very end of the book, so I'm trying not to give you spoilers), the people in town don't like them; they're both annoyed by them and a little scared of them as well. Constance and Julian never leave the house. Julian is actually a man whose mind comes and goes at times; he spends his entire day trying to figure out what happened to the rest of the family. Constance is responsible for cooking and house chores. In addition, she keeps quite a garden where she grows fruit, vegetables and other plants. Mary Katherine is the only one among them who leaves the house on specific days during the week, and that's just to do the shopping in town. She tries not to talk to anyone or hear what they say behind their backs while she's there. This series is great it follows the life of Shelby Nichols and the people she uses her premonition power on and helping them to solve crimes and weed out the bad guys. 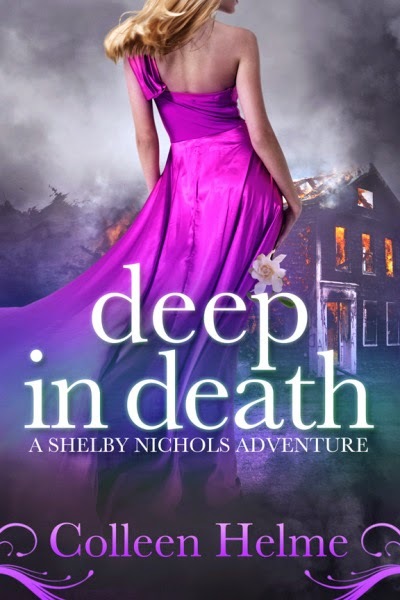 In this book Shelby is helping Tiffany Shaw who is about to be married and wants to find out what happened to her mom years ago. Also it seems Uncle Joey is having issues and needs Shelby to help him figure out who's trying to kill him. Shelby keeps at this knowing she could be placing herself deep in danger. 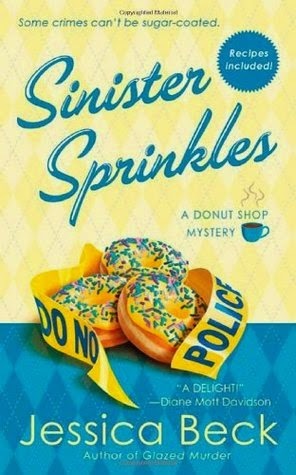 I love the ability this author has of throwing Shelby into all sorts of trouble and watching Shelby weasel her way out of it. And this book was no different then her other troubling situations. This one was full of action, adventure, mystery and so much emotion it was literally a roller coaster ride! I know I'm late in sharing this treasure that Kate Collins offered on her website she allowed Gillian Osborne from The Flower Shop series to write a week of blogging about fashion tips and maybe even a murder in there. It's still up on her website and everyone should check it out I loved it! Kate Collins is such an incredible author with the life she weaves with Abby Knight and her friends and family. Share in the comments below what you thought of Jillian? Personally me I love Jillian she is such a riot and cracks me up! 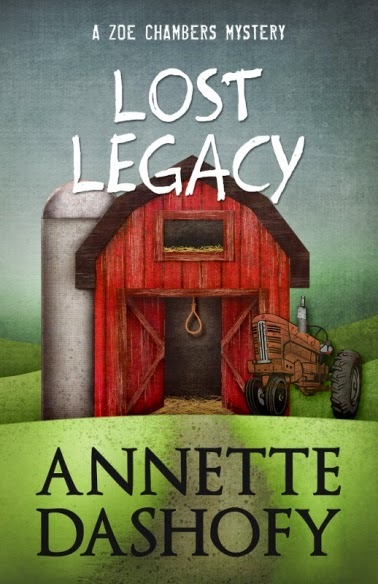 This book was definitely different then typical cozy mysteries in this one Miss Shirley ends up dead and the others recount their memories of her in hopes of figuring out who had something worth killing for. Lots of secrets about Miss Shirley are revealed. Soon more bodies end up turning up and it's up to Cait and her boyfriend Bud to figure out who is killing the other guests when they get stuck in a locked room and have to wait hours to be released. While this book was good to me it felt slow in some areas, but that could be just my opinion and not the intention of the author. I think people will find this book overall enjoyable. The book had lots of mystery to it. 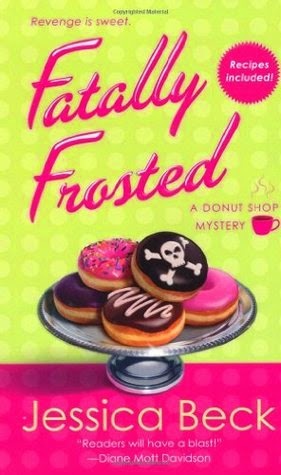 One I would recommend for big cozy mystery fans! In this book Suzanne is getting ready for a cooking tour in town and is setting up in Marge's kitchen to cook her donuts when Peg shows up intimidating both Suzanne and Marge. Not long after this tour starts Peg is found dead in the yard dying on a donut from Suzanne's store. Of course Suzanne is the suspect and it's up to Suzanne, Grace, George, and Jake to figure out what is going on? Who had the most to gain by killing the annoying Peg. With no shortage of possibilities the real murder is a complete surprise by everyone.